My name is Deepan Budlakoti, and I have been stripped of my Canadian passport. I was born in Canada at Grace Hospital in Ottawa, which is now closed. I have an Ontario birth certificate. I held a Canadian passport and before that, I was on my mother’s Canadian passport for five years. In my passport it says that my nationality is Canadian, the same is true of my younger brother. The government now says it gave me a Canadian passport in error. I don’t know how they can say that since it is stated in the Passport Act that only a person who is Canadian can be issued a passport. 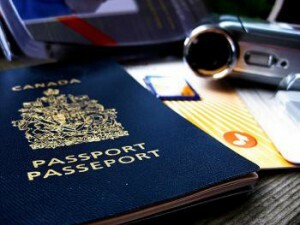 Each passport goes through several different departments before it is signed and issued. There is nothing in the the Immigration and Refugee Protection Act or Canadian Passport Order that says the government can take away a passport issued in error. In fact, nowhere in the Order does it say that they can take away a passport in my situation. My parents did not work for the Indian High Commission when I was born. At that time, they worked for a doctor in Canada who has stated, under oath in court, that they worked for him at that time. However, the Canadian government refuses to accept this and other evidence we provided in order to prove it. What the government is doing is wrong. How can they give me a passport which says that I am a Canadian citizen and then take it away, saying that they gave it to me in error? I am a Canadian. Like many Canadians, I have served time after a conviction. I was sentenced to three years. I have paid my debt to society and now live with my court-ordered surety in Ottawa. I was born here. I have lived in Ottawa my whole life and I had every document a Canadian would have. I am suffering double, if not triple, punishment for my crime. I now face deportation, and this could go on for years, since at this time I have no status and no nationality anywhere. At the same time, because of my citizenship status, I don’t have access to heath care services. The Indian government has stated that they will not issue any travel documents for me. Immigration law in India states that if a person is born to Indian parents outside of the country and the parents want their child to be a citizen, they need to apply within two years of the child’s birth. This was not done when I was a child, and I am not a citizen of India. The former Indian High commissioner has written a letter which clearly states that my parents did not work for the high commission in any capacity after June 12 1989. I was born in October months later. I fall outside the UN Universal Declaration of Human Rights which states that a person must have a nationality. I currently have a Charter Application in process and a UN Application in process and I am waiting for court dates to be set. I have made applications to the UN and a Charter challenge in Canada. Amnesty International, B.C. Civil Liberties Association, Canadian Civil Liberties Association, Canadian Labour Congress, the NDP, Elizabeth May and Council of Canadians support my cause, and have provided letters of support. My Charter of Rights and Freedoms rights have been violated, and I am going to Federal Court to prove it. If I am successful, the Federal Court will have to acknowledge and uphold my citizenship and Charter rights. This case could be precedent-setting, limiting the government’s ability to make someone who is born in Canada stateless. I am currently raising money through indiegogo to pay the fees for these challenges. But you can also support my cause in other ways. You can sign a letter of support. Or you can spread the word. It is important to support my case: if the government can take away my citizenship, it can take it away from others as well. Also, the government is punishing me for its mistakes and refusing to take ownership for these mistakes. Government officials are violating my constitutional rights and violating UN principles. These are things that should concern all of us. At the end of the day, all I am asking for is to get back my citizenship and to be allowed to live a normal life. Deepan Budlakoti lives in Ottawa. You can follow his struggle at facebook, donate at indiegogo to help support the Charter application, or follow the campaign on twitter @justice4deepan. To read letters of support from organizations such as Amnesty International, click here. This entry was posted in Media Coverage, Print, Statements by Deepan on 02/05/2014 by admin.